Karumah’s Positive Hunter Heterosexuals group aims to help build connections among PLHIV who identify as heterosexual and their support networks. 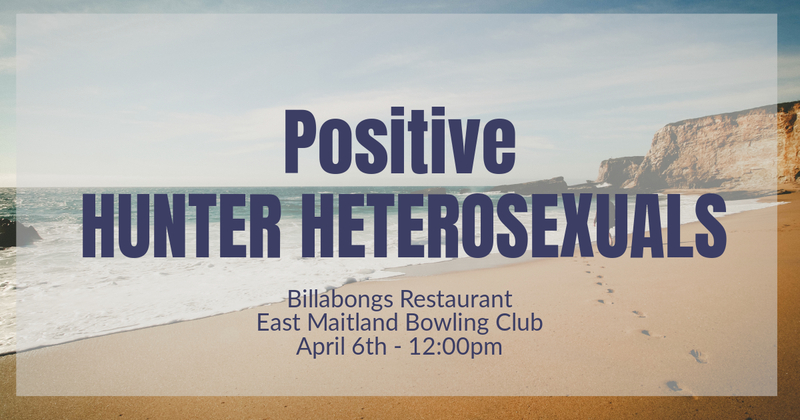 Come join the Karumah team and fellow community members for a Saturday lunch at the Billabongs Buffet Restaurant at East Maitland Bowling Club on April 8th from 12:00 – 2:00pm. Lunch is half price for Karumah members at only $9 a per person.